By the beaches of Luanda, the Russians are building a grand mausoleum to honour the remains of the Comrade President. Granmas are whispering: houses, they say, will be dexploded, and everyone will have to leave. Can the children of Luanda steal the Russians' dynamite, decipher Comrade Gudafterov's letter, and save their homes? With the help of his friends Charlita and Pi (whom everyone calls 3.14), as well as assistance from Dr. Rafael KnockKnock, the Comrade Gas Jockey, the rather gruff and smelly Gudafterov, and Crazy Sea Foam's pet alligator, our young hero must decide exactly how much trouble he's willing to face to keep his Granma safe in Bishop's Beach. 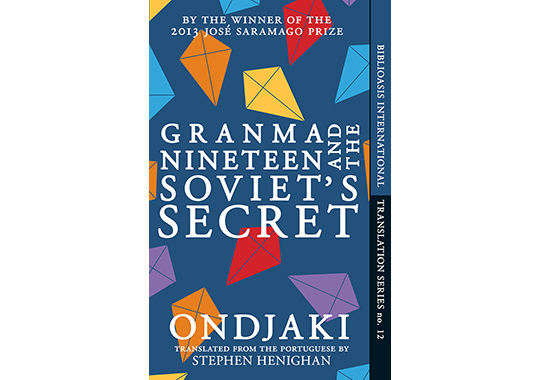 A colourful cast and sparkly dialogue make Granma Nineteen a charming coming-of-age novel, from the next rising star in African literature.